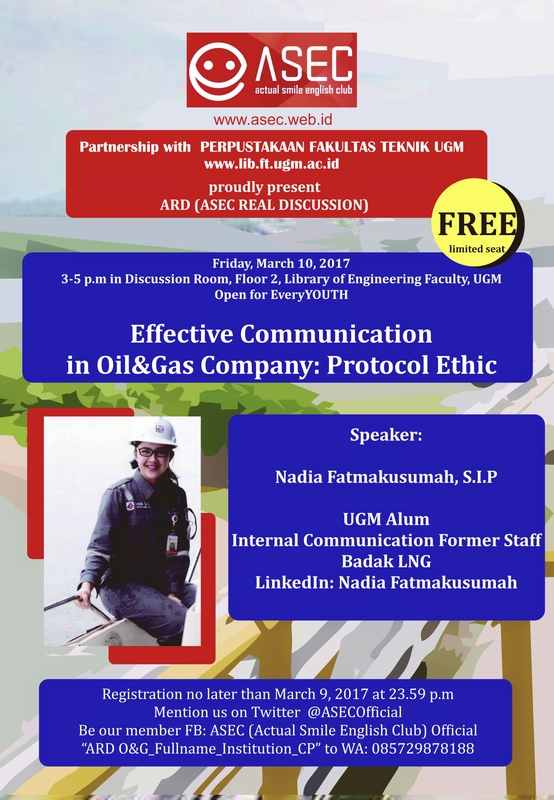 Go Writing ARD (ASEC Real Discussion) about Oil&Gas Corporation This Week! Curious how effective communication effects much on running corporation? Curious about Oil&Gas corporation works? We proudly present this routine discussion to you, everyYOUTH! Free of charge? Yes of course. See you ASEC great buddies!